The normal position of the human foot is such that the sole of the foot is flat against the ground while walking. 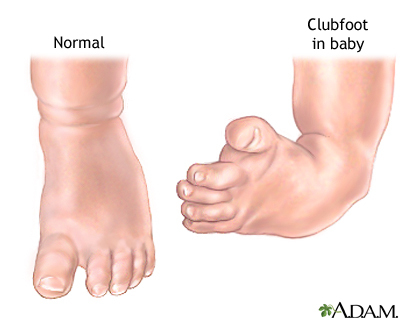 Clubfoot is a congenital abnormality in which the foot is adducted (angled inward). Correction of clubfoot is required for normal ambulation later in life.